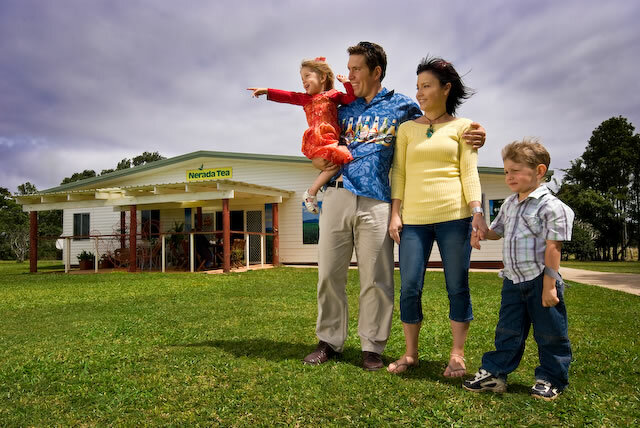 Open 7 Days a week, on the turnoff to the beautiful Millaa Millaa falls, The Falls Teahouse with Guest Accommodation is the perfect place to stay and discover the Tablelands. Enjoy a stop over for a Devonshire tea and homemade meals. Tarzali Lakes Smokehouse Cafe is set in 40 acres of picturesque landscaped surrounds as part of the broader Aquaculture Centre which hosts16 lakes stocked with over 500,000 fish. 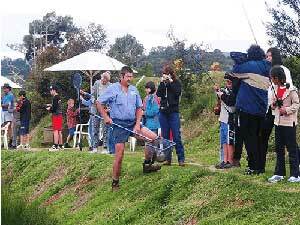 We guarantee you the best catch of the day and the freshest tasting fish on the Tablelands. Authentic Thai cuisine served with our fresh Barramundi, Jade Perch, Redclaw & Eel will tantalize your tastebuds. Our in-house smoked fare includes fish fillets and various native flavours blended with meats to produce chorizo, bush sausages (pork, kangaroo and boar), pastrami, smoked chicken, ox tongue and other delicacies. Visitors can catch and release or buy and eat on site or takeaway. All equipment provided. Fresh fish daily. Guaranteed platypus sightings. Come and visit our tea plantation and factory in lush, misty hills of the Cairns Highlands (Atherton Tablelands) just 10km outside the town of Malanda. Our Visitors Centre is open 7 days a week (except Christmas,Boxing and New Years Day) between 9am and 4pm. Discover how tea is grown and processed. Take a tour of the factory (the factory may not always be operational), buy fresh tea or a special gift…Relax and enjoy a Devonshire tea. An innovative ‘retro’ milk bar style restaurant, showcasing the food and produce of the Tablelands region. Also includes ‘Taste of the Tablelands’ retail section and an interesting tour and museum interpretive centre for the local dairy industry. 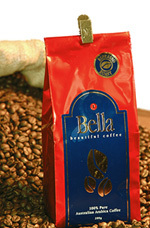 Take time out for a Bella Coffee at the Malanda Dairy Centre where you can see a pictorial display of coffee growing and processing as well as display of coffee beans at various stages of production. Gallo Dairyland is a fully functional dairy farm that is producing a range of gourmet dairy products and hand crafted chocolates. 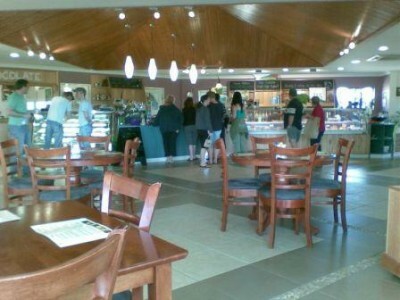 Open daily from 9:30am The Cafe/Restaurant is fully air-conditioned seating approx 80-90 people. 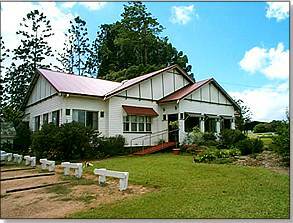 A wholesome lunch menu, morning and afternoon tea is available for you to relax and enjoy the ambience of the surrounding scenery on the beautiful Atherton Tablelands. Visitors to Gallo Dairyland will get to see the age old method of cheese making and taste the great selections of dairy produce and indulge in the beautiful. Gallo Dairyland chocolate. Fresh strawberries, pick your own (September), sorbet made on site from tropical fruits and nuts, gelato, home-made strawberry jam, mango jam. Season – June to November. located right in the heart of Yungaburra, This Winery is gaining exceptional popularity for their vast range of wines and spirits, all made from the exceptional quality fruit of the Cairns Highlands and Tablelands region. Their selection of excellent, quality wines and spirits range from light citrus style mixes through to fortified wines that are just ideal for those with a discerning taste. The larger of the twin crater lakes, Lake Barrine has been operating as a tourist destination since the 1920’s. Enjoy a lake cruise and a devonshire tea at the Tea House on the waters edge. Spot the sunbathing pythons, eels, turtles, ducks and other water birds. Experience remnant Tableland Rainforest on the 6.5km walk around the lake. There is a short walk to the 1,100 year old Twin Kauri Pines. Picnic and toilet facilities. The Humpy offers a wide variety of farm fresh fruit and vegies. Also on offer is exotic fruit, local jams and sauces, fresh nuts, dried fruit and organic products including gluten and wheatfree bread. Walk through a Macadamia Nut Plantation and see how they grow, you can harvest your own and checkout the dehusking shed. 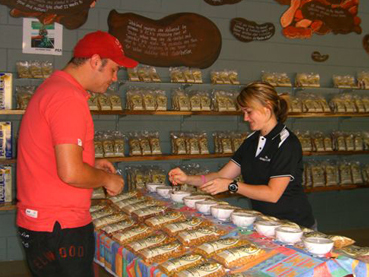 Sample fresh and various flavours of the Aussie bush nut. 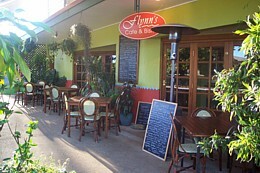 The Distillery is in a beautiful garden setting in a Macadamia nut, Avocado and Banana plantation. Home to ‘Elixier de Musa’; a liqueur with a light exotic tropical taste of bananas. Have a taste, buy a bottle. Just introduced their Platinum Rum.